Everyone has different dietary needs and goals, but we wanted to demystify vegan cooking, which often sounds pretty intimidating. These five recipes are 100 percent vegan and 100 percent doable—no wacky ingredients, no conversions, and definitely no "flax eggs" (seriously, what is that?). Sitting down to a meal free of meat, dairy, and eggs (aka vegan food) has gotten a lot of press lately. Mark Bittman's new book VB6 touts a "vegan before six" diet as the ideal way to balance staying healthy, reducing one's environmental footprint, and also enjoying the occasional burger or ice cream cone. Everyone has different dietary needs and goals, but we wanted to demystify vegan cooking, which often sounds pretty intimidating. These five recipes are 100 percent vegan and 100 percent doable—no wacky ingredients, no conversions, and definitely no "flax eggs" (seriously, what is that?). Starting the day off sweet doesn't require eggs or milk. 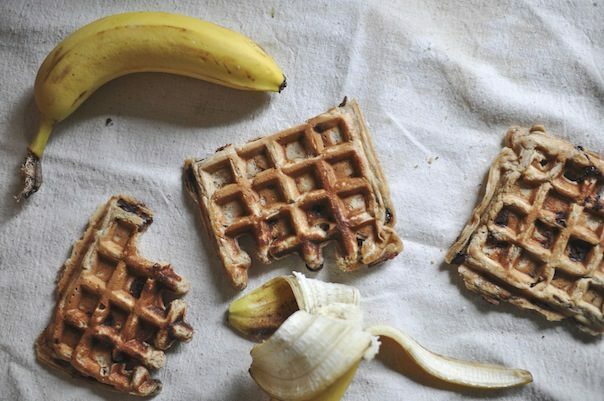 These fluffy waffles get plenty of flavor from a ripe banana, crunchy nut butter, and almond milk. Plus, they're made with half whole-wheat flour. Make breakfast extra-special by adding chocolate chips! What happens when you combine two super-popular cuisines? 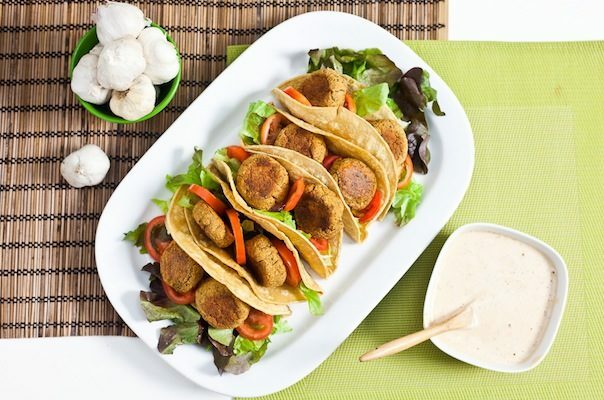 A delicious, vegan dish that highlights the best parts of Middle Eastern and Mexican foods. Spicy, crunchy, and not greasy, these sandwiches are an instant classic. 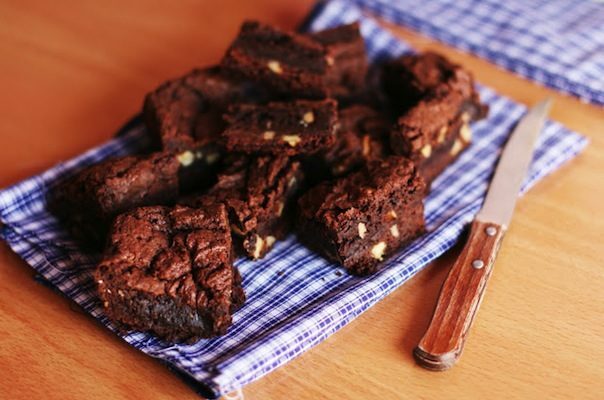 Anything named "the best brownies" is right up our alley! These bad boys get a double dose of chocolate (cocoa powder and chopped semisweet chunks), plus espresso and walnuts. We'll let you decide if they're really the best out there. 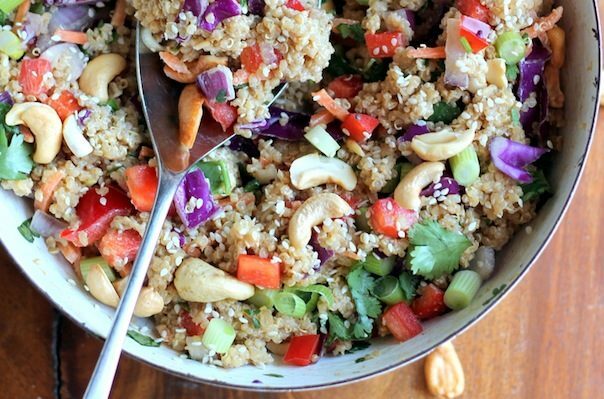 This easy lunch recipe is a slam-dunk way to load up on tasty, healthy superfoods. 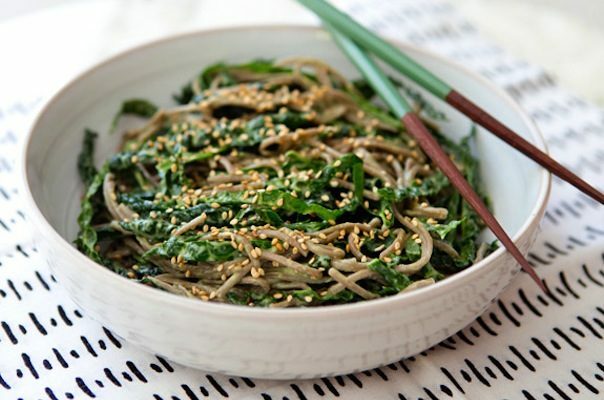 Shredded kale, soba noodles, avocado, garlic, and miso come together for a flavorful meal in a bowl. This recipe has a long name, but it's well worth the effort of writing down on a recipe card. This crunchy, flavorful salad makes a great side dish, lunch, or no-fuss summer dinner.